The Alpina is a simple family run hotel, and it offers an extremely friendly and relaxed atmosphere, with excellent cuisine for its category - many guests return year after year. Located approximately 15 minutes' walk from the centre of Interlaken. The bus to the railway station, which is free with your resort guest card, stops just 2 minute's walk away. Many rooms have shower, some rooms have balcony and some have washbasin only. Bed & breakfast option also available. This accommodation only holiday to Hotel Alpina in Interlaken, Switzerland departs Friday 24th May 2019, for a 3 night stay on a "half board" board basis. A local tourist tax (Taxe de Sejour or Kurtaxe) is levied by many councils in European resorts. It varies by standard and type of accommodation and is age dependent, so not everyone is charged. It's not included in the basic price of your holiday and is usually paid locally. For reference, the average charged in winter 15/16 was between 50p and £2 per person, per night. 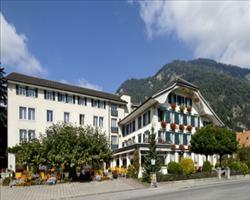 Hotel Oberland Interlaken Switzerland, Accommodation only to Accommodation only 24th May. 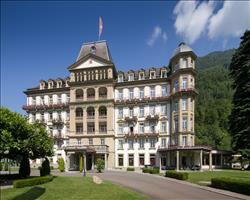 Hotel Metropole Interlaken Switzerland, Accommodation only to Accommodation only 24th May. 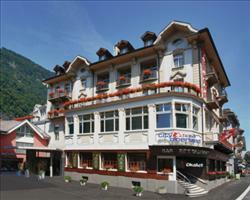 Hotel Beausite Interlaken Switzerland, Accommodation only to Accommodation only 24th May. 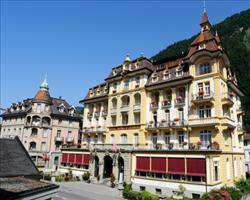 Hotel Royal St Ge... Interlaken Switzerland, Accommodation only to Accommodation only 24th May. 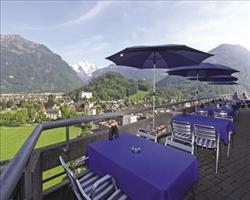 Lindner Grand Hot... Interlaken Switzerland, Accommodation only to Accommodation only 24th May.